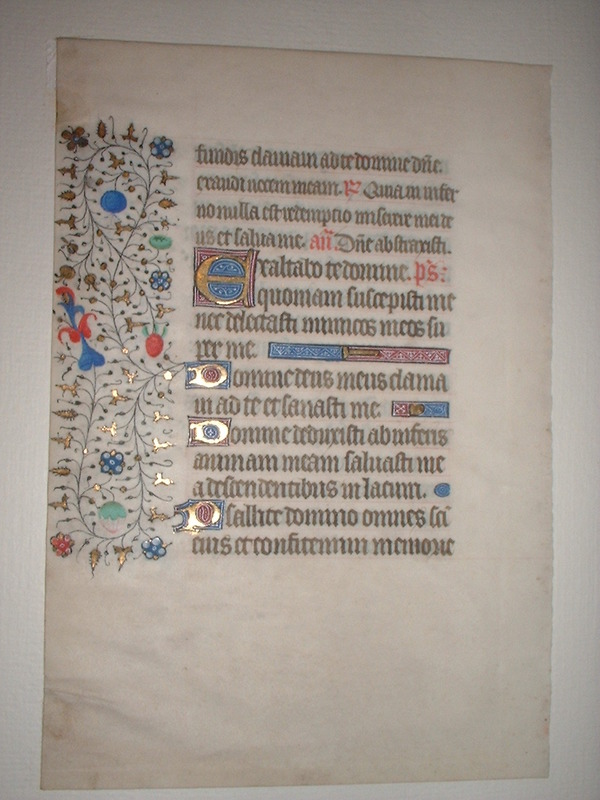 Text: This leaf contains text from the Office of the Dead at Matins, Second Nocturne, into the Third Nocture at "Domine Abstraxisti." Reconstruction Note! 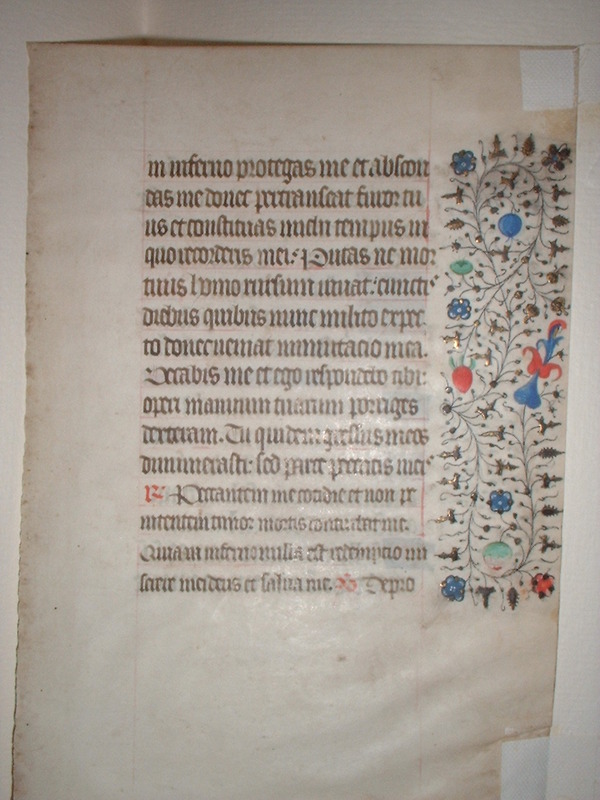 In Ege's original manuscript, this leaf was followed by what is now Leaf 31 in the Rochester Institute of Technology Leaf. -fundis clamavi ad te Domine: Domine exaudi vocem meam. R. Quia in inferno nulla est redemptio, miserere mei Deus, et salva me. Ant. Domine abstraxisti. Psalmus. ...depths I did cry to thee O Lord, O Lord hear my voice. R. for that in hell there is no redemption, have mercy upon me O God, and save me. Psalm.